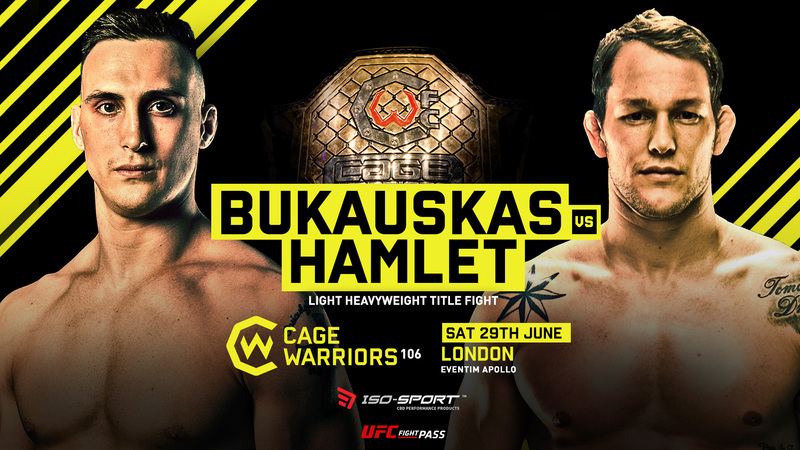 Cage Warriors confirm yet another world title fight for their June 29th card – undefeated Norwegian superstar Marthin Hamlet vs rising UK powerhouse Modestas Bukauskas for the light heavyweight belt. 3 further bouts have also been announced for the pro prelims. Three new bouts for the undercard have also just been announced for June 29th – Darren O’Gorman vs Adam Aramasinghe (Flyweight), Jason Radcliffe vs Håkon Foss (Middleweight) and James Hendin vs Kingsley Crawford (Featherweight).